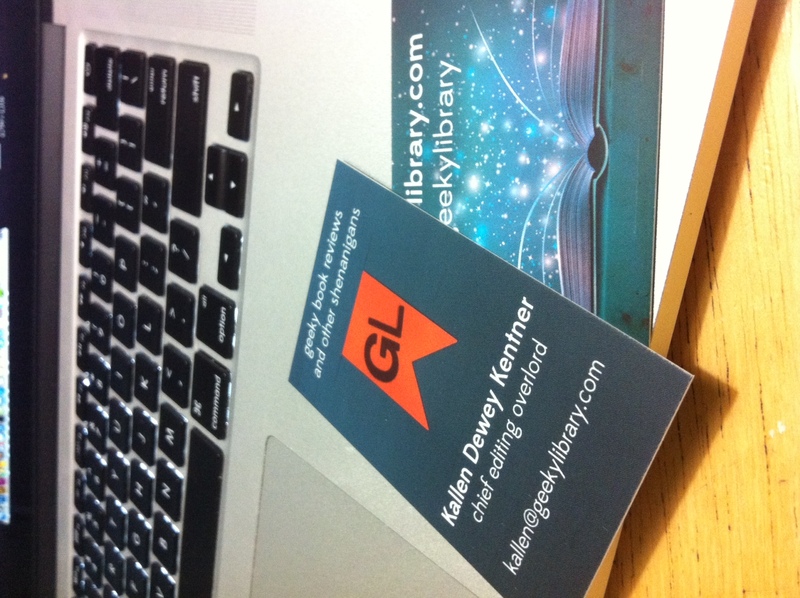 Yeah, we’re totally legit, because now your GeekyLibrary Crew has business cards, from Moo.com. 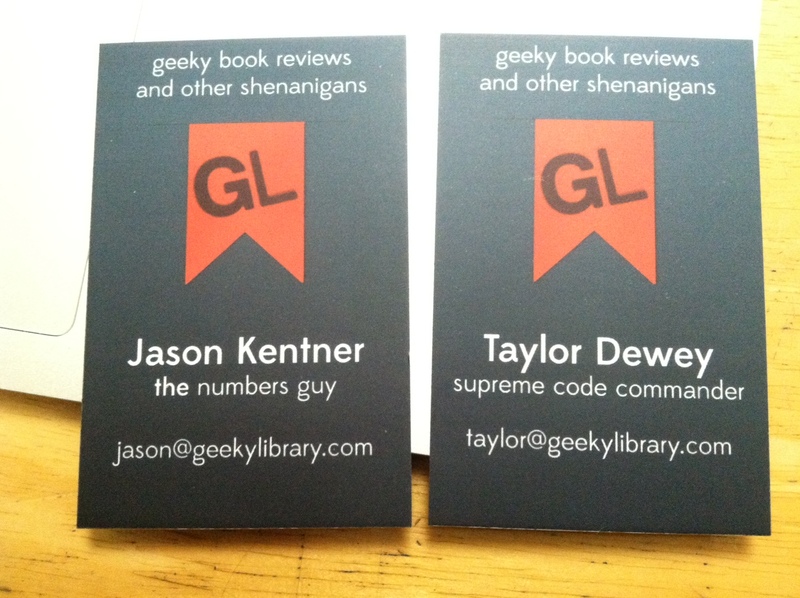 Yeah, that’s right, I’m now the “chief editing overlord.” Also, meet Taylor, our Supreme Code Commander and Jason, the numbers guy. So if you like our new cards, be sure to catch up with Taylor this weekend at Norwescon and maybe he’ll give you one of his.